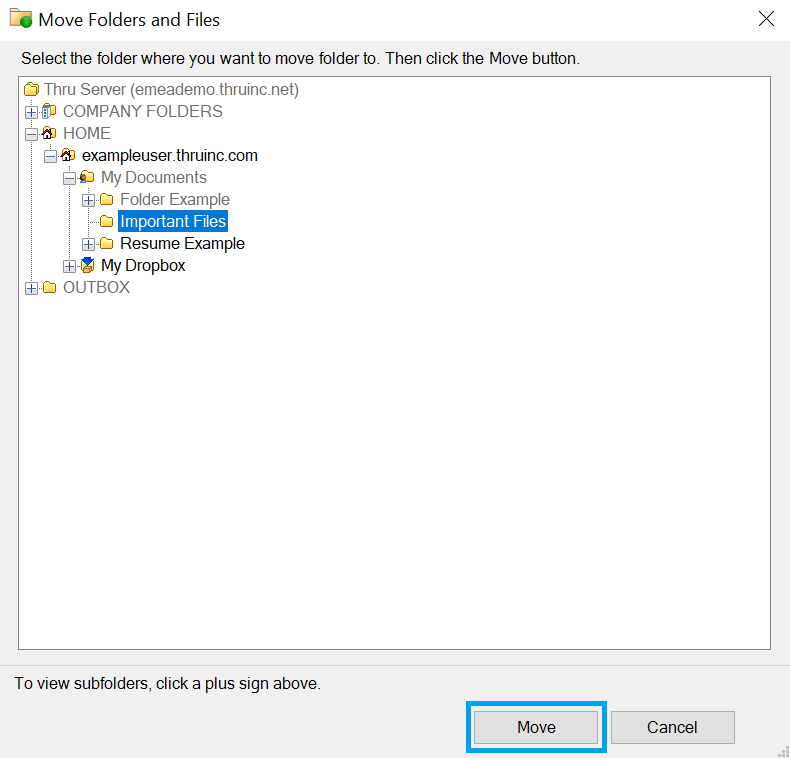 Right-click a file/folder and click Move. 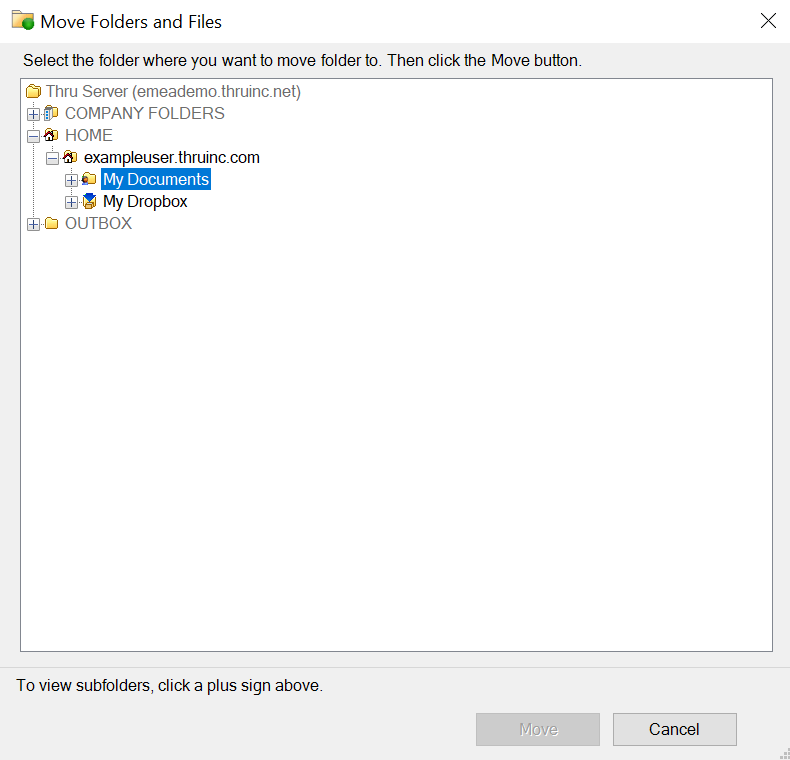 The Move Folders and Files window opens. 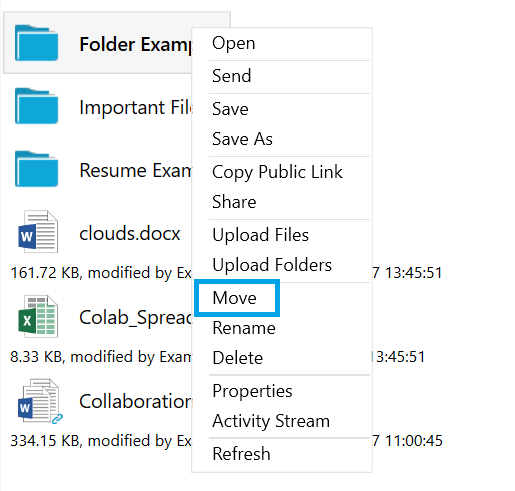 Navigate the folder tree and select the new location you want to move files/folders to. After selecting the folder, click Move at the bottom of the window.